According to the World Health Organization, there are 7 million fatalities as a result of air pollution. The festive season post Dussehra in India is when toxic levels of pollutants in the air is at an all-time high. This is not just because of crackers burst during festivals and weddings, but also the crop residues that are burnt in the fields. Smog, smoke and pollutants make it respiratory infections rather common. Even in areas with ‘safe’ levels of pollution, your occupation could put you at risk. For instance, dock workers, truck drivers and other workers who are constantly exposed to high levels of diesel emissions, are more susceptible to respiratory illnesses. While the best way to stay away from air pollution is to either not cause it, or protect yourself with a mask when facing it, there definitely are some foods that allow the body to build resistance against pollution-related illnesses and also reduce the harmful effects of air pollution. 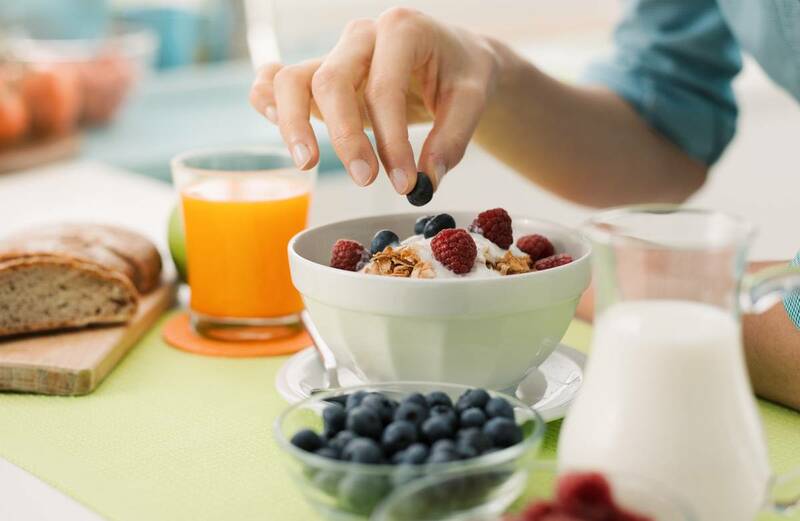 For instance, antioxidants in fruits help reduce the free radicals in the body and also help you to detox. By eating well you are helping your body recover from the harmful effects of the toxins, dust and harmful substances you are exposed to, or inhaling. As a general rule of thumb, foods that are rich in Vitamin C, Vitamin E, antioxidants and beta carotene are excellent. Those who suffer from cardiac ailments can also add Omega 3 fatty acids to this list. The first physical impact of air pollution is borne by the skin – the largest organ of the human body. Vitamin E defends against cellular and tissue damage and can be found in plant-based cooking oils (peanut, olive, sunflower, rice bran etc), almonds and salmon. You will be surprised to note that a lot of spices and condiments such as chilli powder, paprika, cloves, oregano, basil and parsley also have a decent amount of Vitamin E and so they should be used liberally. Spicy foods actually help expel allergy symptoms from the body. A rather common nutrient, Vitamin C, is the strongest antioxidant to guard against harmful effects of air pollution. It also helps in the regeneration of Vitamin E in the body and boosts immunity. We all know lemons, amla and guava are good sources, but fresh coriander leaves, drumsticks, turnip greens, cabbage and broccoli are also good sources. It should be kept it mind that too much of cooking of these vegetables destroys the Vitamin C in them. So as far as possible, simply steam them or have them in the form of smoothies or juices. In a recent study, scientists at the University of California, Los Angeles, showed that drinking broccoli sprout extract for four days in juice could blunt the amount of inflammation that occurred in people’s noses after exposure to diesel exhaust pollution. Beta Carotene controls inflammation and infection because of its antioxidant nature. It is also converted to vitamin A in our body. Asides from carrots, green leafy vegetables – leafy vegetables of all kind – spinach, methi, radish leaves, beetroot leaves – are the richest sources of beta carotene. 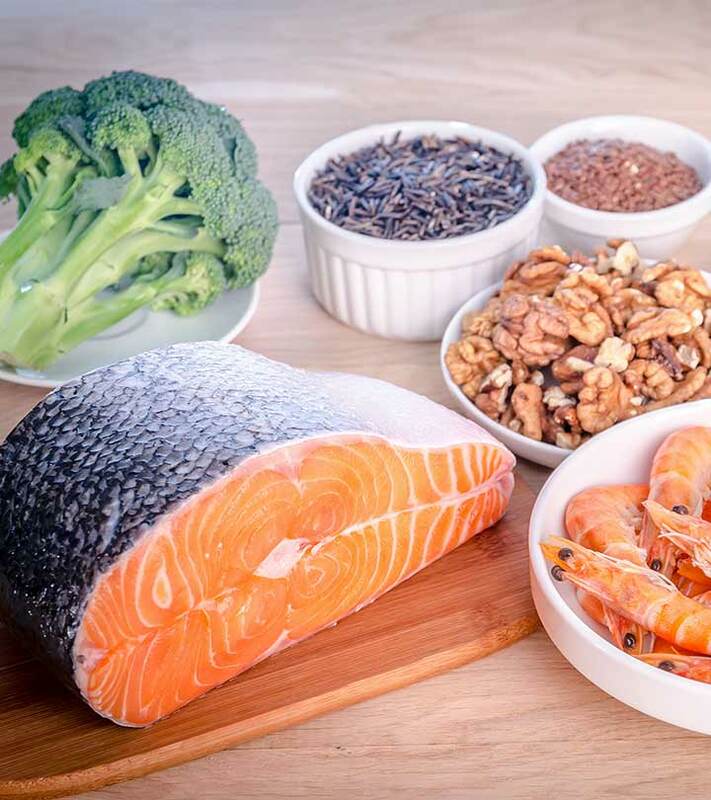 Omega 3 fatty acids protect the body against the harmful effects of air pollution because it is an essential fatty acid that is not produced in the body and is also anti-inflammatory and prevents infection. Sources of Omega 3 fatty acids are nuts and seeds – walnuts, chia seeds and flax seeds. Asides from these, mustard seeds, methi seeds, black gram, rajma etc also contain good amounts of Omega 3 fatty acids. All of these nutrients are good scavengers of free radicals and therefore also great for skin health. Indian ayurvedic traditions suggest a lot of kitchen hacks to combat the harmful effects of air pollution. Make it a point to consume more raw turmeric. Also sip at least half a glass of warm water to which the juice of a lemon has been added. This not only promotes digestion, but also provides a boost of Vitamin C and hydration to the body and therefore prevents allergic reactions to air pollution. Those who enjoy Thai and Japanese cuisine can indulge themselves as the delicious alchemy and flavours of lemongrass, galangal, soy sauce and fresh vegetables are also an excellent combination of nutrients that strengthen the response of the immune system to air pollution. Now that you know what you should eat to guard yourself against harmful pollution, add these foods to your daily diet. Next articleHow Long Does A Train Go Without Its Engine? Find Out!